Nathan Fillion will join the cast of “Lemony Snicket’s A Series of Unfortunate Events” in Season 2, TheWrap has learned exclusively. The “Castle” alum will play Snicket’s brother, while Tony Hale, Sara Rue, Lucy Punch, and Roger Bart have also joined the Season 2 cast. The show’s producers are expected to announce the new cast additions at a discussion about Season 1 at Netflix FYSee space Friday night. The small-screen adaptation tells the fictitious tale of Violet (Malina Weissman), Klaus (Louis Hynes) and Sunny (Presley Smith) Baudelaire, who lost their parents in a mysterious fire. See Nathan Fillion's latest POWER MOVE. The unique TV series stars Neil Patrick Harris as their menacing guardian Count Olaf and Patrick Warburton as narrator Snicket. K. Todd Freeman co-stars as the hapless Mr. Poe; Will Arnett and Cobie Smulders also recurred on Season 1, which debuted in January. “Lemony Snicket” was renewed for Season 2 in March. There is no premiere date for the second installment yet. 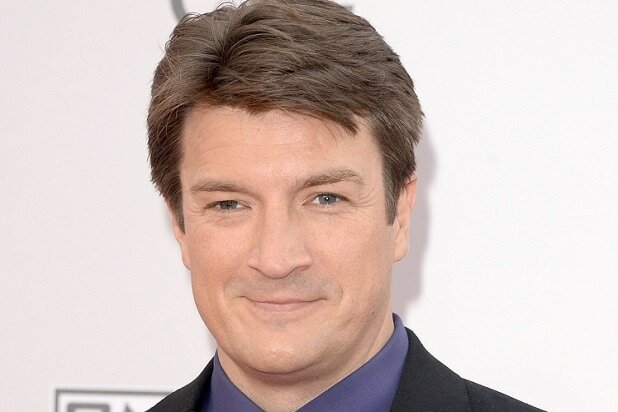 Fillion is coming off of an eight-season run on ABC’s “Castle.” He previously appeared on Netflix in an episode of Drew Barrymore comedy “Santa Clarita Diet.” Recently, he also recurred on “Modern Family” and appeared on “Brooklyn Nine-Nine.” He is repped by CAA. Some big shows are returning to Netflix in May, including fresh seasons of fan favorites "House of Cards," "The Unbreakable Kimmy Schmidt," "Master of None" and the last season of "Bloodline." And there are some new movies of note. But get ready to binge some flicks that are leaving over the weekend, including all three "Jurassic Park" installments. What's coming May 1: "Forrest Gump"
The Oscar-winning movie is running right onto Netflix. Cozy up with a box of chocolates and reflect as you watch this classic in May. Lil' bud heads to Italy to get over a breakup in the second season of Aziz Ansari's comedy. What's coming May 15: "Sherlock: Series 4"
Cumberbatch is back with a new season of everyone's favorite "high functioning sociopath." In the latest season, Sherlock has to deal with the fact that Watson has a family of his own. What's coming May 16: "Tracy Morgan: Staying Alive"
The latest in of a string of comedy stand-up specials, Tracy Morgan will take the stage to discuss his new take on life after recovering from his near-death experience when he survived a car crash in 2014. The CW's teen drama based on the "Archie" comics has become a quick hit among the younger crowd. Catch up with Season 1 in May. The true crime trend continues. 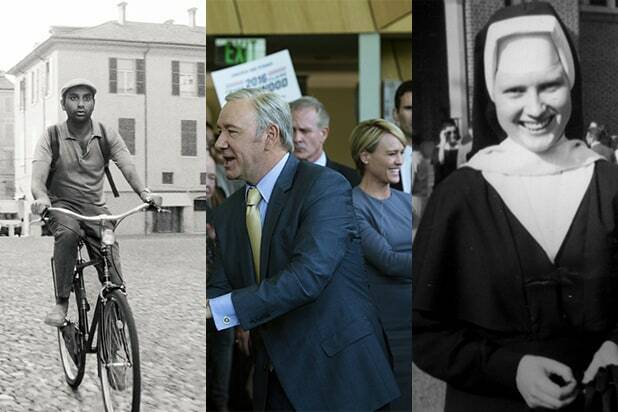 This time, Netflix explores the disappearance of Sister Cathy, a favorite teacher in a small community. What's coming May 19: "The Unbreakable Kimmy Schmidt: Season 3"
She's (still) alive, dammit! It's a miracle -- Kimmy is tackling college in Season 3 of the beloved comedy. What's coming May 22: "Inglourious Basterds"
It's the Quentin Tarantino movie that tells an alternate story of WWII. It has everything you can expect from a Tarantino film, plus Brad Pitt. The saga of the Rayburn family will come to an end next month with the release of the final season. Be sure to expect more beautiful Florida beach shrouded in family drama, corruption and mystery. What's coming May 30: "Dr. Strange"
You'll get to enjoy even more of the Marvel Cinematic Universe with "Dr. Strange" at the end of the month. All we can say is vote Underwood. What's going May 1: "Jurassic Park"
This classic is leaving at the start of the month, along with "Jurassic Park III" and "The Lost World: Jurassic Park." If you're part of this fandom, hurry up and binge before the comedy is scrubbed from the streaming platform. The animated comedy is in its seventh season, but if you haven't hopped on the bandwagon yet, you'd better get caught up before Season 2's order on Netflix is up. What's going May 19: "Step Up"
Young Channing Tatum and Jenna Dewan Tatum star in the movie that started it all. Watch them dance into each other's hearts before they dance off of Netflix. Get your fill of beachfront undercover FBI drama before it leaves the streaming platform.